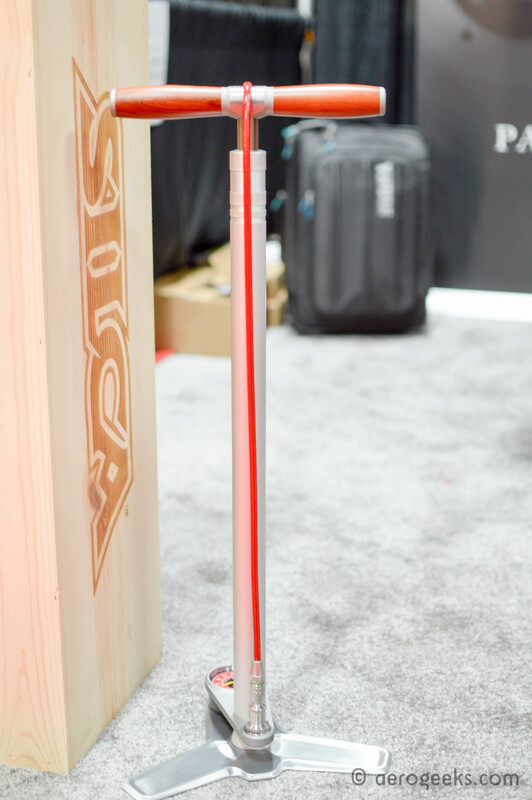 When we heard that the Silca SuperPista Ultimate Floor Pump won best in show for road/cross at Interbike, we can’t say we were surprised. The SuperPista is as much a work of art as it is a tool. And that is exactly what Josh from Silca is going for. In his words, he wants to elevate pumps to tool status—a product you buy to get the job done right the first time and that lasts a lifetime. The SuperPista is fully built in the USA and features a stainless steel main barrel with 2.5mm thick walls. 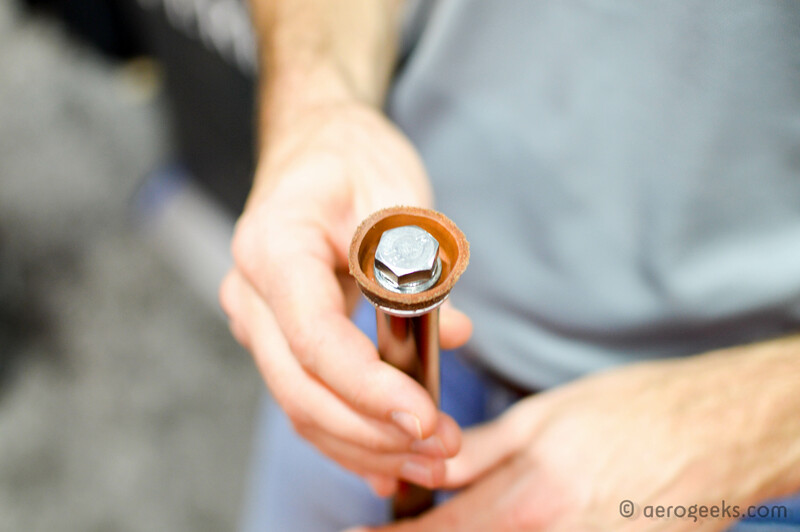 The hose (originally designed for use in race car and aircraft lines) is capable of carrying 12,000 psi and features swivels at both ends. By adding the dual swivel mounts, Silca has made the cable incredibly easy to flex and rotate. It acts like a simple rubber hose rather than the braided hose that it is. 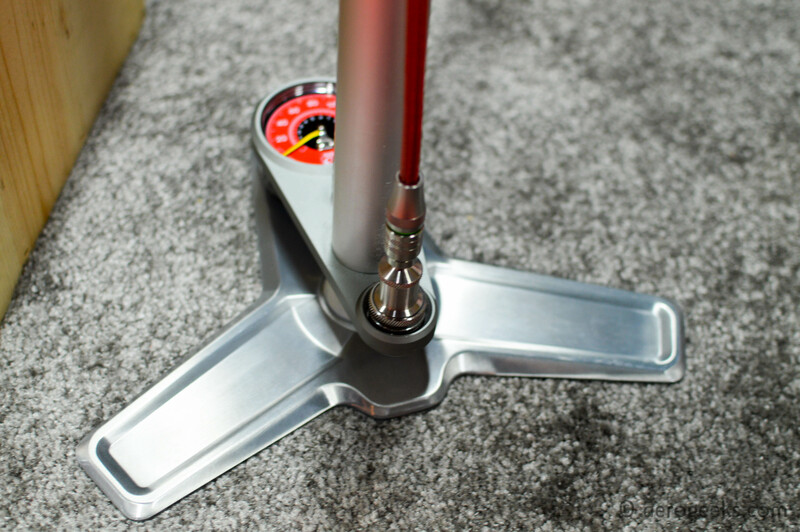 Silca has added a magnet to the pump base to hold the chuck in place when not in use. 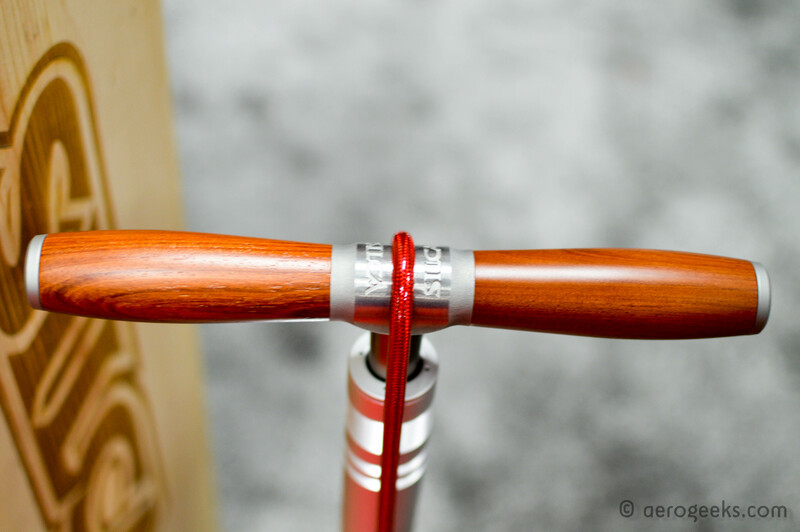 The pump itself is built like a fox suspension fork and uses a PTFE impregnated, hard anodized piston rod combined with Silca’s classic Leather Washer. The end result is a near frictionless pump that is built to last. 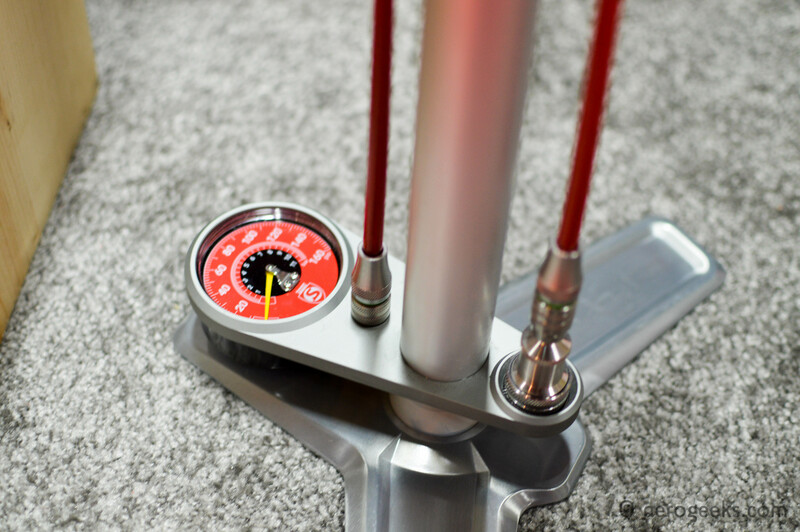 The SuperPista also features a laboratory grade gauge with an accuracy of +/- 1% that reads from 0-160psi. Normal pumps typically have an accuracy of +/- 5%. Silca went with the higher accuracy gauge to ensure athletes can count on always knowing their exact tire pressure when heading out on race day. 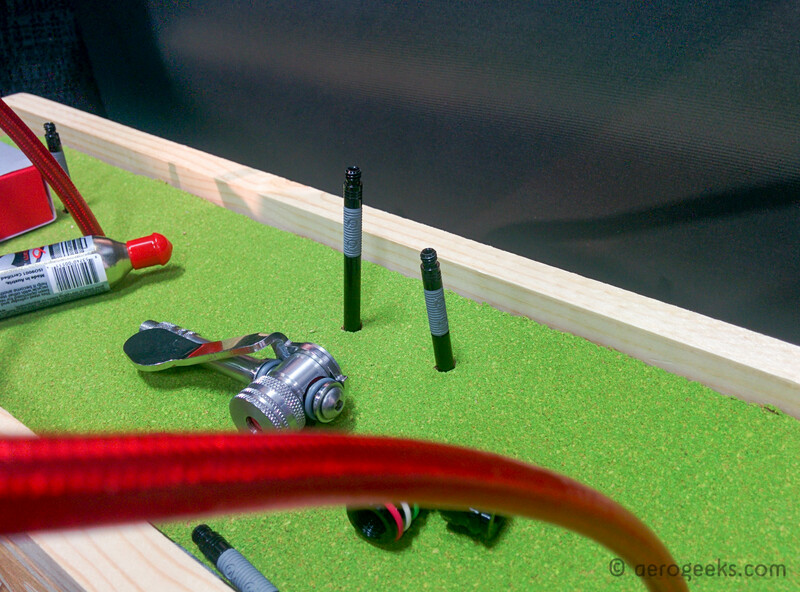 Silca went with their stainless steel presta head and not their hero side-lever presta chuck. When we inquired why, we were told it was a combination of pricing and ease of use since the side-lever chuck is not the everyday option most mechanics would choose. All of this quality is not without cost – $450 in this case. But considering the SuperPista Ultimate comes with a 25 year hard parts warranty, and we typically buy a new pump every few years, the cost may end up working in your favor for the life of the product. Or maybe you are just looking for the highest quality tools for your personal garage, and the fact that the SuperPista can double as a work of art is just icing on the cake. Is the pump packaged in the wood box shown in the photos?